Hydraulic Turbine Starters | Hydraulic Starters | Hydra Service, Inc.
Dynapower/Stratopower/Vickers 53WK570 Series hydraulic starters are used on aeroderivative turbine engines. The 53WK570 series starter was the original industry standard designed specifically for aeroderivative turbine engines. 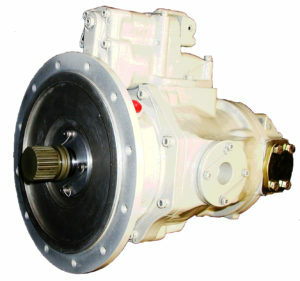 The starter has a built-in overrunning clutch pac that dis-engages the starter when the turbine reaches cut-out speed. 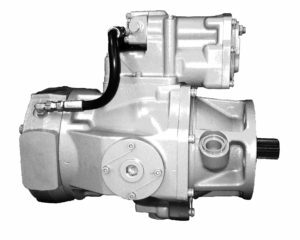 The servo control on the starter is designed to maximize available horsepower for a smooth and fast start cycle. Solar Turbines also uses a Dynapower hydraulic starter similar to the 53WK570 series without a built-in overrunning clutch pac. 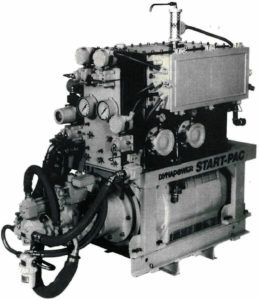 Hydra Service also manufactures hydraulic start pacs utilizing a Dynapower pump designed to drive the turbine starters. We have a variety of horsepower ranges for application specific requirements to accommodate wash cycles, motoring the turbine and the start cycle.